There’s no doubt that customer engagement is one of the single most important aspects to consider when trying to enable sales within your ecosystem. Today’s buyers have more choices than ever before, through more purchasing routes than ever before. When nearly any market niche has multiple products that all serve basically the same role, customer experience (CX) becomes extremely important to a purchasing decision. Basically, if all other elements seem to be equal in the mind of a prospective buyer, the company which treats them best will be the one to make the sale. Here, we include five tips to create a great customer experience from start to finish. 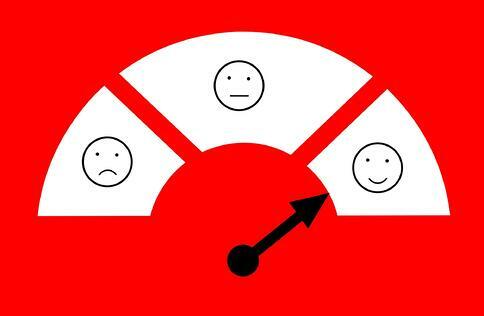 Is customer experience a sales matter? A marketing matter? A support matter? It’s all of the above, and more. Every single touch a buyer has with your organization is part of their overall experience, from start to finish. Whether it’s interactions with your Twitter account, interactions with reps at trade shows, contact with your local sales partners, post-sale technical support, or anything in between… every touch needs to be the best it can be. Have you made a map of your customer’s journey throughout the sales process and beyond? If not, it’s high time. This is a step that will bring numerous benefits down the line, and not just for improving your CX. By understanding how buyers interact with your company, and your various public-facing channels, you will gain deeper insight into how to best push them forward along that journey. This process also provides you a concrete list of areas to focus on, when trying to improve your CX. Have discussions with your contacts at your partner companies, and encourage them to be better brand representatives. This shouldn’t be a terribly hard sell – CX is directly related to sales enablement. If they’re onboard as part of a team effort to improve CX, that will help their own sales numbers. Do you have an easily-accessible repository to hold documentation and guidelines for your partners? Is it simple for them to contact you, if they have a question or tricky customer problem? Centralized communications will improve your CX across the board. Partners will know how to best represent you, as well as being able to provide better service to buyers both during and after the sale. Making your marketing materials easy to access will help cut down on partners going off-message. Branding and marketing consistency is another major aspect of CX. Finally, this shouldn’t all be done in a top-down fashion. Often your sales partners will have excellent insights into their customers’ wants and needs, particularly when it comes to regional differences between markets. Invite their input, then look to incorporate the best insights into your own processes and messaging. Create A Unified Ecosystem With LogicBay! LogicBay specializes in helping indirect sales operations compete with monolithic vendors by streamlining your operations, and utilizing universally-accessible software to tie your partners together into a single cohesive network. Contact us to learn more about how our methodology can enable more sales!